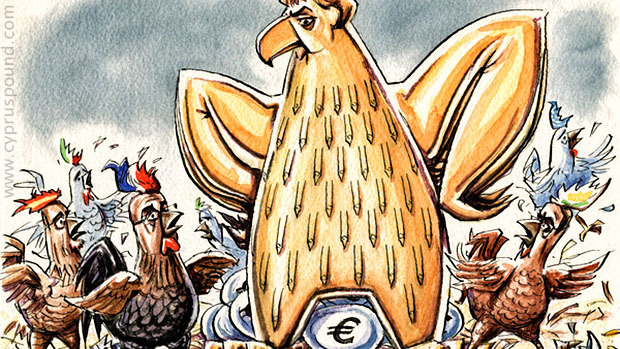 Is there any question that Germany now rules the Eurozone with a financial fist? Simply put, whatever Deutschland say, goes. What they don’t say, doesn’t go. Hitler probably never dreamed that his Third Reich would be accepted so willingly by a whole Eurozone of 19 nations. Chancellor Angela Merkel exerts more power (soft) over the 28 country European Union, than Adolf did at his peak of his WWII conquests. 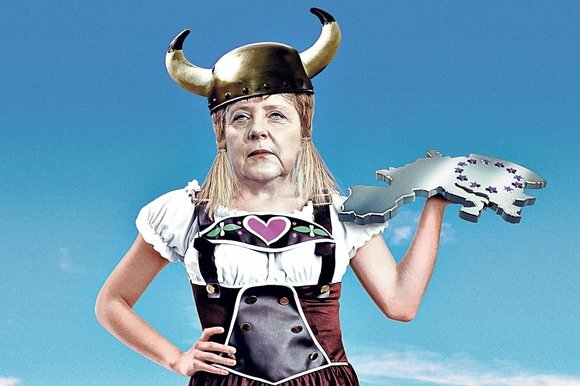 It is now understandable that many have suggested that Frau Merkel is actually an agent of the Rothschild banking family, which has covertly controlled Europe’s destiny since the 19th century. 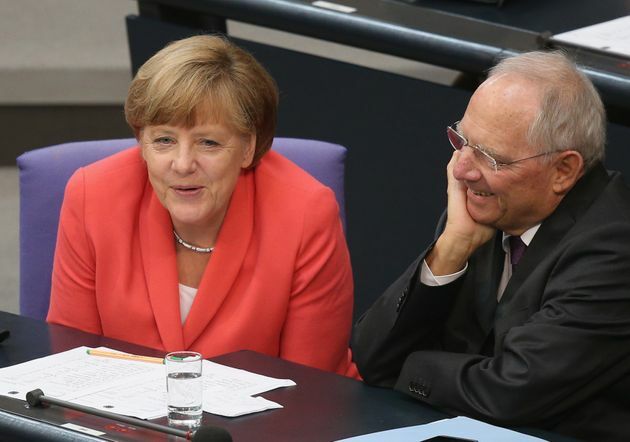 If one country should leave the eurozone, they argue, it’s not Greece — it’s Germany. The possibility of a “Grexit” — or Greek exit from the eurozone — has dominated headlines in recent months, as round-the-clock negotiations between Greece and its international creditors over a new bailout deal shed doubt on Greece’s future in the monetary union. Many eurozone leaders, particularly in Germany, welcomed the prospect. But some economists say proponents of a “Grexit” have it all wrong: If one country should leave the eurozone, they argue, it is Germany. These economists’ basic premise is that Europe’s depressed economies, which include not just Greece, but Spain, Portugal, Ireland and Italy, would benefit tremendously from a cheaper currency. Devaluing the euro would help boost their exports and even spur domestic spending, as moderate price inflation would prompt consumers to lock in deals at current prices. But currently these mostly southern European countries are stuck with a currency value that is boosted by the inclusion of Germany and other wealthier European countries. High investor demand for a currency that includes the German juggernaut keeps the euro’s value relatively high. A German departure from the eurozone and return to the deutsche mark would reduce the euro’s value dramatically, providing Europe’s weaker economies with the cheaper currency they need to restore growth and competitiveness. Princeton economist Ashoka Mody imaginesthat other wealthy European nations like the Netherlands, Belgium, Austria and Finland would leave as well, possibly joining Germany in a new union. Their departures would lower the value of the euro even more, which would further benefit the continent’s weaker economies. Germany stands to gain from an exit as well, since the new deutsche mark would be worth substantially more than the euro, enabling German consumers to benefit from cheaper consumer goods. A German exit from the euro would make German exports less competitive, but Mody says that by depressing German consumer demand, Germany’s current trade surplus has been damaging to the world economy. Former Federal Reserve chair Ben Bernanke made a similar argument about Germany’s trade surplus in a Friday blog post on the website of the Brooking Institution, where he is now a resident economist. Bernanke said Germany’s trade surplus and accompanying tight fiscal policies had depressed economic growth in the rest of Europe. He called for new eurozone rules against trade imbalances in order to force Germany to lower its trade surplus. Notwithstanding these economists’ recommendations, Greece is still the country most likely to leave the eurozone. The International Monetary Fund has called the latest bailout deal unworkable, since it fails to restructure Greece’s unsustainably high debts and is overly optimistic about the economic performance Greece will be able to achieve in order to pay down those debts. That means Greece will continue to need more loans just to meet its obligations to creditors, and will be back at the negotiating table in a matter of months, or years at most. Eurozone leaders resisted aiding Greece until the end of negotiations, and proposed a Greek departure at the last minute. They were only willing to assist Greece in exchange for the deepest austerity measures yet, including a fire-sale privatization of some of Greece’s state-owned assets. It is unlikely that the eurozone will have a greater political appetite to lend to Greece if the current loans-for-austerity deal breaks down. Short of additional funding and liquidity support for its banks, Greece will once again face a Grexit. The latest round of wrangling between Greece and its European creditors has demonstrated yet again that countries with such disparate economies should never have entered a currency union. It would be better for all involved, though, if Germany rather than Greece were the first to exit. After months of grueling negotiations, recriminations and reversals, it’s hard to see any winners. The deal Greece reached with its creditors — if it lasts — pursues the same economic strategy that has failed repeatedly to heal the country. Greeks will get more of the brutal belt-tightening that they voted against. The creditors will probably see even less of their money than they would with a package of reduced austerity and immediate debt relief. Now that the idea of exit is in the air, though, it’s worth thinking beyond the current political reality and considering who should go. Were Greece to leave, possibly followed by Portugal and Italy in the subsequent years, the countries’ new currencies would fall sharply in value. This would leave them unable to pay debts in euros, triggering cascading defaults. Although the currency depreciation would eventually make them more competitive, the economic pain would be prolonged and would inevitably extend beyond their borders. If, however, Germany left the euro area — as influential people including Citadel founder Kenneth Griffin, University of Chicago economist Anil Kashyap and the investor George Soros have suggested — there really would be no losers. A German return to the deutsche mark would cause the value of the euro to fall immediately, giving countries in Europe’s periphery a much-needed boost in competitiveness. Italy and Portugal have about the same gross domestic product today as when the euro was introduced, and the Greek economy, having briefly soared, is now in danger of falling below its starting point. A weaker euro would give them a chance to jump-start growth. If, as would be likely, the Netherlands, Belgium, Austria and Finland followed Germany’s lead, perhaps to form a new currency bloc, the euro would depreciate even further. The disruption from a German exit would be minor. Because a deutsche mark would buy more goods and services in Europe (and in the rest of the world) than does a euro today, the Germans would become richer in one stroke. Germany’s assets abroad would be worth less in terms of the pricier deutsche marks, but German debts would be easier to repay. Germans know how to live with a stronger exchange rate. Before introduction of the euro, the deutsche mark continuously appreciated in value. German companies adapted by producing higher-quality products. If they reintroduce their currency now, it will give them a new incentive to improve the lagging productivity in the services they produce for themselves. Perhaps the greatest gain would be political. Germany relishes the role of a hegemon in Europe, but it has proven unwilling to bear the cost. By playing the role of bully with a moral veneer, it is doing the region a disservice. Rather than building “an ever closer union” in Europe, the Germans are endangering its delicate fabric. To stay close, Europe’s nations may need to loosen the ties that bind them so tightly. We’ve just had the eurozone growth figures for the final quarter of 2014 and they indicate that possibly the best solution to the region’s economic woes is for Germany to leave the euro. No, this isn’t entirely a joke: it does match the economics we have in front of us. But of course while it’s not entirely a joke it’s also not an entirely serious suggestion for no one at all thinks that it is actually going to happen. The point of the economics in front of us being that German economic growth was unexpectedly strong, meaning a very slight rise in the size of the eurozone economy as a whole. But the performance in other countries was somewhere between dismal and dire. And if those 18 national economies are all reacting in such different ways to much the same external economic stimuli then they really shouldn’t be sharing a currency. That is, these latest GDP figures just show how far the eurozone is from being an optimal currency area. Euro zone economic growth accelerated unexpectedly in the final quarter of 2014 as the bloc’s largest member, Germany, expanded at more than twice the expected rate. A preliminary estimate showed the economy of the 18 countries sharing the euro expanded by 0.3 percent between October and December compared with the previous three months, the European Union’s statistics office Eurostat said on Friday. A Reuters poll of 51 economists had forecast a 0.2 percent expansion, the same rate as in the third quarter. Year-on-year, euro zone growth was 0.9 percent in the fourth quarter, also 0.1 percentage points higher than expected. The euro zone’s biggest economy, Germany was a clear outperformer, growing by 0.7 percent in the quarter, far surpassing expectations of a 0.3 percent rise. However, the performance of individual member states remains spectacularly uneven. While the region’s two largest economies both grew in the final quarter, German growth powered ahead as France’s economic expansion fell short of the level needed to combat record unemployment. Italy’s economy, the third largest in the eurozone, stagnated — a slightly better outcome than expected, raising optimism that 2015 will mark an end to three straight years of recession. Political risks, such as the showdown between Athens and its eurozone creditors, continue to threaten growth, with data showing a 0.2 per cent contraction in Greece’s economy in the final quarter highlighting the link between the currency area’s economic malaise and its messy governance structure. It’s worth recalling the basic underlying theory about a currency area. As I’ve pointed out before, I’m in a town of some 100,000 people in Bohemia. It would obviously be mad for us to have 100,000 different currencies here, one for each person. Trade, the economy in general, will obviously work better if we’ve some common means of exchange. However, this doesn’t then show that we want to have one global currency. We do need flexibility in economies, different places will react differently to the same stimuli. This is obvious if we consider a change in the oil price. An oil consuming area or economy will obviously react differently to such a price change than a producing one. Thus, given that monetary policy is one of our tools to deal with such changes in conditions there are certain regions that will need to have different monetary policies than others. And you can only have that if you’ve got different currencies. Which brings us to the word “optimal” and refers to that Goldilocks sweet spot where we’ve the maximum amount of economic efficiency from lots of people using the same medium of exchange and the minimal amount of problems from all having the same monetary policy. And the eurozone is simply too large to be that optimal currency area. Our proof of this is that the different economies are reacting differently to much the same set of economic stimuli. Thus they need to have different monetary policies (we don’t have the necessary fiscal policies to allow that path to solution to be taken) and thus different currencies. However, Greece leaving the euro (“Grexit”) would obviously be a dreadful affair, even if in the long term it might be the right solution. And Italy, Spain, Portugal, possibly even France, following would really not be fun to live through. But if we need to have different currencies but we don’t want the southern and peripheral countries to leave that gives us just the one final option. Germany should leave the euro instead. Yes, I know, ain’t gonna happen. However fun it would be if it did. But the really interesting thing about the suggestion is that if Germany did leave the euro it would in fact solve much of what is wrong with the eurozone economy.